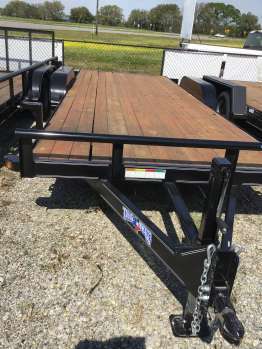 Trailers Of Louisiana is your complete trailer store that offers quality parts and accessories in the Acadiana. Serving the area for many years, we take pride in our top-notch repair service and exceptional customer service. Trailers of La. sells trailers for both work and play. 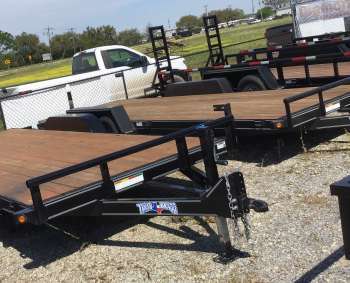 They sell and service Texas Bragg work trailers, Diamond City and EZ Loader boat trailers, Continental Cargo trailers,Calico Horse/Stock Trailers, Covered Wagon Cargo Trailers, H & H Aluminum Trailers and Anderson Equipment Trailers/Truck Beds.
. Need a repair on your trailer. They do that also. No matter what brand. Trailers also stocks a complete line of truck accessories to go along with most trailer applications. Trailer Brands we handle or Diamond City Boat Trailers, EZ Loader Boat, Texas Bragg,H&H Aluminum, Calico Horse & Stock, Ranch King, Carry On, Covered Wagon, Continental Cargo/Forest River, and Anderson Trailers. Not only can you purchase your trailer from us, but we can service it too!! We can handle just about any repair needed. For that DIY Pro, we pride ourselves on our selection. If we don\'t have it in stock, bet your bottom dollar we can get it! Cargo trailers All sizes Special orders Trailers of La. We have a great selection on our lot. If we do not have your ideal trailer in stock, we can special order it for you! 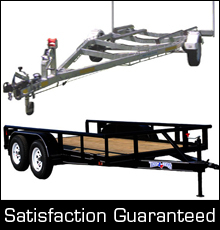 \r\n\r\nLet us take care of your trailer needs. From purchasing, to repairs, we can handle it! We even have a fantastic selection of parts and tools for those who prefer doing it themselves! Magic Tilt Boat Trailer. TRAILERS OF LOUISIANA New Ibera La. Texas Bragg Trailers starting at $1149.99\r\n\r\nCall Wes at 3373691113 \r\n\r\nPictured above in the second picture is our 6X10 trailer. \r\n\r\nPrices for our 5X10 start at $1149.99\r\n\r\nPrices for our 6X10 start at $1199.99\r\n\r\nPrices for our 6X12 start at $1299.99\r\n\r\nStop on in, grab a cup of coffee, and check out our selection! Call Wes 3373691113 \r\n\r\nWe can handle just about any repair needed on your trailer. Bring it in and see what we can do for you! \r\n\r\nPrefer to tackle it yourself? We pride ourselves in having a wide variety of parts on hand!! Our knowledgeable staff can help you get what you need. If we don\'t have it in stock, we can get it for you! \r\n\r\nTrailers can be brought in anytime from 8-5 Monday - Friday and 9-1 on Saturdays for repairs. No appointment needed! !